AN-LAN-EXT-ENH-E Ethernet Extender allows 10/100 BaseT Ethernet to be transmitted over any 2-wire copper cables. This device is often used in legacy installations where existing wire is re-used as part of an upgrade to IP devices. AN-LAN-EXT-ENH-E Ethernet Extender signal belongs to high frequency radio frequency signal. Considering the cable loss, please choose better quality connectors. When you use AN-LAN-EXT-ENH-E, please follow the below tips as a reference, in order to reduce the fault in the process of using and the inspection work. The device supports auto-negotiation allocation master and slave. It also can be set master-slave side and grouped by software. Long distance cable connection must be formal connection methods, such as welding or using connectors. Coaxial cable, twisted-pair cable and telephone line all can be used to transmit network data signal in projects. A variety of cables arbitrary mixed connection also can reduce the quality of signal. Please choose matching power supply (9～24VDC/AC / 1A). Video shows installation example of IP camera extended over UTP cable, however, every Ethernet device can be used, such as PC’s, LAN switches etc. This device contains one Master unit and one Slave unit, which supports point-to-point network transmission. 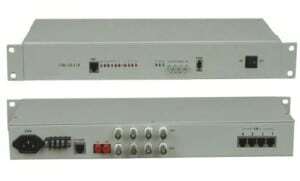 Now this device has been widely used for network extension system, network security, network information publishing system, network renovation and expansion systems, etc.